It's crazy to think that there was a time when Jada Pinkett Smith and Will Smith were not together, considering the inseparable bond they have now. “Take out all that whole marriage, relationship crap, at the end of the day Will and I are family," Jada previously said of her husband. "I am going to hold him down, doesn’t matter. All that relationship and what people think ideas of a husband, partner and all that, man whatever. At the end of the day that is a man that can rely on me for the rest of his life period." On the latest episode of Red Table Talk a fan asked the women "who was the first boyfriend you brought home for the holidays?" 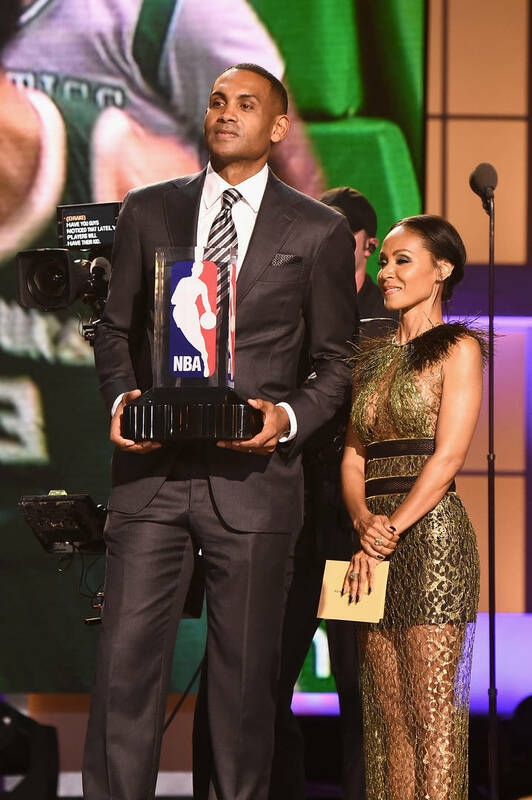 The clip just shows Jada's answer where she reveals it was Grant Hill, who is a former basketball player who played for the Detroit Pistons. The exes dated for just two years and once they split they went on to date and marry their current spouses. "He was the first boyfriend I brought home for the holidays," Jada says in the clip below. "Who is happily married to Tamia, happy holidays to that beautiful couple."